Air tickets, Train tickets, all taxes. After Breakfast. Drive to Mount Abu visit the full day sightseeing and Overnight stay at Mount Abu hotel. After Breakfast. 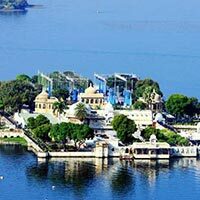 Drive to Udaipur visit the excursion to Ranakpur Jain temples Overnight stay at Udaipur hotel. After breakfast, Drive to Udaipur Airport / Railway Station / Bus Stand for your Home Destination. (Service Ends).